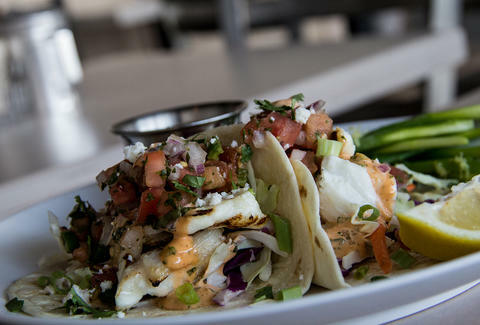 With his second TJ's, Jon Alexis's self-professed fish obsession accommodates his patrons' obsession with sitting on their butts and reading menus. 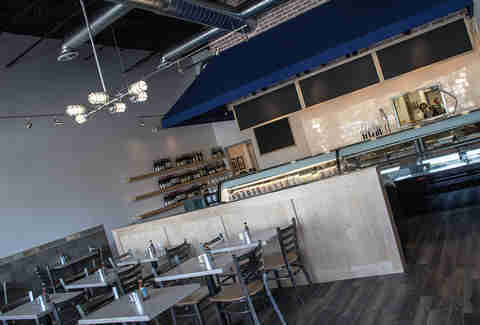 He says the wood-floored, stone-accented, 24-seat counter-service spot isn't a seafood restaurant, but he is very proud to call it "a fish market where you can eat", then buy more swimmers to take home -- only to discover that, despite not being a restaurant, TJ's preps food way better than you. Alexis brought in exec chef Scott Hoffman (Flippin' Out Crepes) to whip up fish tacos (w/ jalapeno aioli, house pico, quesa fresca...), a smoked charcuterie plate (salmon, halibut, herb & cheese whitefish mousse...), and "fish six ways", which is not something that happens in Disney's That Mermaid's Not So Little Anymore, but instead involves your species of choice enhanced with everything from lemon-caper butter to a house blend of seasonings they're calling "fish sand". After also ordering popcorn-garnished Peruvian ceviche and dousing it with Blind Betty (pumpkin-based hot sauce from the Virgin Islands), snag a Sam Adams, Abita, or Kona Big Wave, inspired by a sport that'll have you taking a seat whether you like it or not.